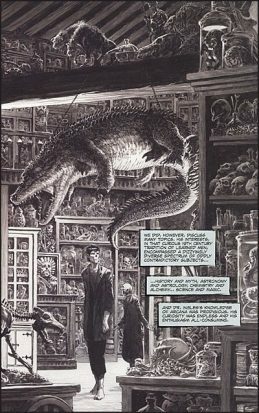 Years ago I was pleasantly surprised to see that a new comic book series with the beautiful artwork of the legendary Bernie Wrightson was on the stands. Entitled Frankenstein Alive, Alive!,this project with Steve Niles (famous for the 30 Days of Night series) appears when it appears, and in retrospect it’s apparent that a lot of that had to do with Wrightson’s health problems. 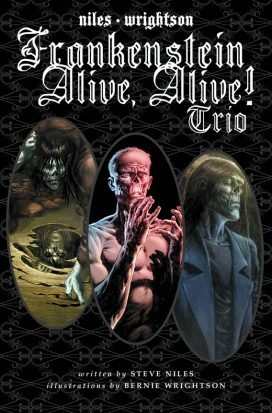 I figured the series was over, until a few weeks ago when I saw this collection of the first three issues Frankenstein Alive, Alive! Trio on the stands. Why was IDW putting out a reprint of this saga now, almost one year after Wrightson’s death at age 68? Because apparently Frankenstein Alive, Alive! 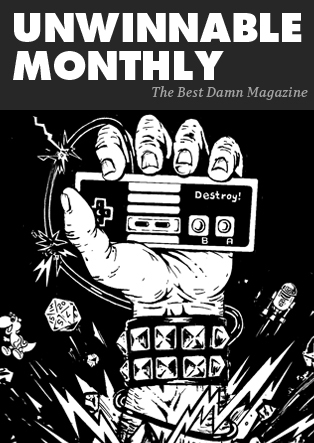 #4 is due out soon! While it was supposed to be released by the end of January it appears the final issue with artwork by Wrightson (and Kelley Jones, who came onboard to complete his unfinished layouts) has been pushed back to a February release, so for now I’ll review the first three issues in the epic continuation of The Monster’s story. Bernie Wrightson originally provided illustrations for an essential edition of Mary Shelley’s Frankenstein, published in 1983. It only makes sense that he continued the story, as the artwork in the original edition understands the character like few others have. It evokes some of Wrightson’s past work like Swamp Thing, but also the artwork of 19th century French artist Gustave Doré. This monster is its own creation, not entirely derivative of the iconic Boris Karloff version from the 1931 movie, which helps in reading the further adventures chronicled in this series since it feels like a unique work divorced from an almost 90-year-old pop culture staple like Frankenstein. I assume that there’s a happy end for the monster at the end of this, since we see him at a later point in his life earning a living with a “family” of freaks and outcasts. What hardships he will still endure to get to this place is another story though. I don’t know how long-term the plans for this series were in the beginning, as you see from the pacing in these three issues possible set-up for a whole slew of “monster on the road” tales. For now due to the unfortunate realities of life we will only be getting four issues. How neatly these four issues wrap up remains to be seen. As it stands The Monster has a dilemma dealing with a man who brings him in and befriends him, only to be revealed as a monster similar to Victor Frankenstein in the third issue. I don’t want to give away too many more details because you should track this recently released collection down. Whether you’re a horror fan, a Frankenstein fan, a comic book fan or simply a lover of art, this series is for you. In May 1987 two incredible things happened. I turned 7 and Justice League #1 was released. Many other incredible things happened in May 1987, but these two things had a major impact on my life, and I’m too lazy to do any further Googling. Keith Giffen, J.M. Dematteis and Kevin Maguire embarked on a hilarious journey that lasted many years and spawned many spin-offs, including a rebranding in issue #7 to Justice League International. This was due to an increase in characters from other countries popping up as team members, as well as a possibly way for DC to bring back a more classic Justice League of American team without confusing everybody. Last October DC released this fantastic Omnibus collection that I purchased and am now reviewing, featuring boatloads of Giffen and DeMatteis-written issues, as well as the entire initial run by artist and master of the drawn facial expression Kevin Maguire, and other artists including Bart Sears. For anyone looking to get their JL/JLI fix this book is it! The story of how the initial team got together (both on and off the page) is an interesting one. DC was looking to reboot the Justice League after an extensive period of living in Detroit. According to Giffen’s afterword in this book they weren’t looking to make it a comedy book. When DC got back to them about what characters could be used for the team the comedy just happened naturally as a result of the ridiculousness of initial lineup that included serious Batman, nerdy Blue Beetle, moronic former gym teacher Guy Gardner and manchild Captain Marvel all on the same team together. Giffen was primarily an artist getting his first major push as a writer, so DC teamed him up with the more seasoned DeMatteis, who at the time was writing more serious comic books like Moonshadow and the Spider-Man graphic novel Kraven’s Last Hunt. 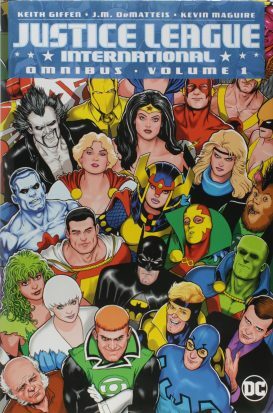 According to what is written in the Forward and Afterword of this book they did not know who artist Kevin Maguire was, and were surprised how his artwork complimented the lighter tone of the book, a tone they kept as the series went on. As you’ll see in this collection it was a match made in bwah-ha-ha heaven. Situational comedy wasn’t the only strength on this series though. Because access to heavy hitters like Superman, Wonder Woman, Aquaman and better Green Lanterns was restricted the focus could be shifted to focus on the misfits available that make up the team, and molding something and identity for many of them. Blue Beetle and Booster Gold became a beloved duo thanks to this team, as did Fire and Ice. The Martian Manhunter was never more relatable when ultimately being saddled with the responsibility of being the team leader, while also developing an addiction to Oreo cookies born out of the stress. See a faithful and different side to Batman and Bruce Wayne too, as he’s given more time to be something other than the brooding loner. 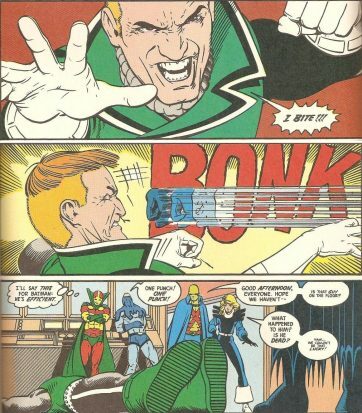 There’s also a classic Batman moment early on where he clocks Guy Gardner with one punch (“I’ll say this for Batman: he’s efficient”, Mister Miracle thinks to himself). Like all omnibus editions this thing is heavy and loaded with content. There are written pieces by Giffen and Dematteis and lots of artwork and character profiles in the back. I would have liked to have seen a script sample, just to see how the writing process worked for this book, otherwise I’m happy to have so many issues collected in one place. One massive warning: avoid the first printing of this book, as there are many printing errors from what I’ve read. The second printing out now fixes this, but it’s a shame that DC screwed up in that dept. As for the art I never tire of Maguire’s gallery of facial expressions, as well as his group pictures. The jacket art alone on this book does an amazing job conveying character just from their facial expressions alone, and we’re talking a good chunk of the DCU from the late 80s.